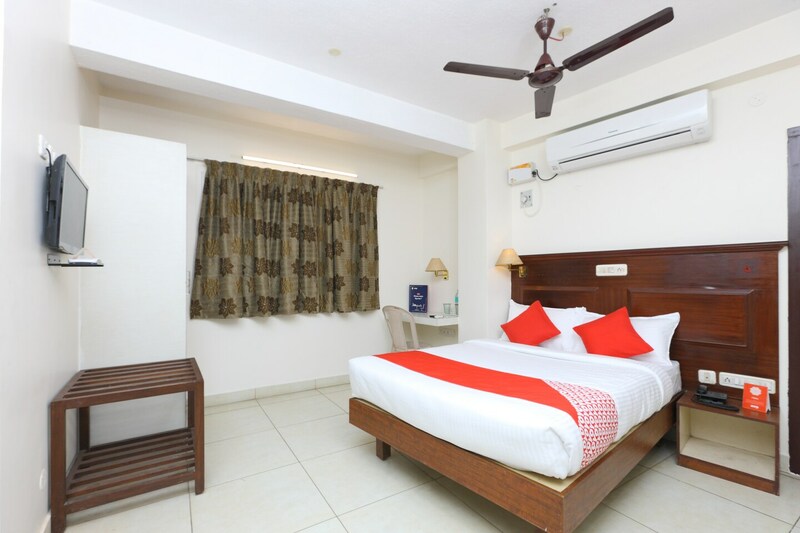 Enjoy quality living while visiting Chennai at Hotel Anushka and have a memorable experience. The rooms here are a mix of class and comfort with modern wooden furniture and basic amenities. The bathrooms are also well-equipped and well-maintained. The banquet hall and dining area is also fully furnished and can be used by guests for events. Power backup and CCTV cameras ensure the security of the guests. The various other facilities provided here include parking facility, laundry service and free Wi-Fi service to stay connected. Guests can also enjoy some tasty treats at the restaurants nearby.